Some lessons in a musician’s life take a while to sink in. I can still clearly recall dialing in what I thought was the greatest tone since the first Sumerian plucked a cat-gut string stretched over a tortoise shell. I couldn’t wait to show the sonic goodies off to my buddies in the band, but the spell was broken when we all rocked out together in the rehearsal room. All that to-die-for tone was lost in the din when my bandmates joined in. Like most novices, I had to learn the ABCs of tone through trial and error, gradually acquiring the nous to tweak my sounds so they would slice through any mix. 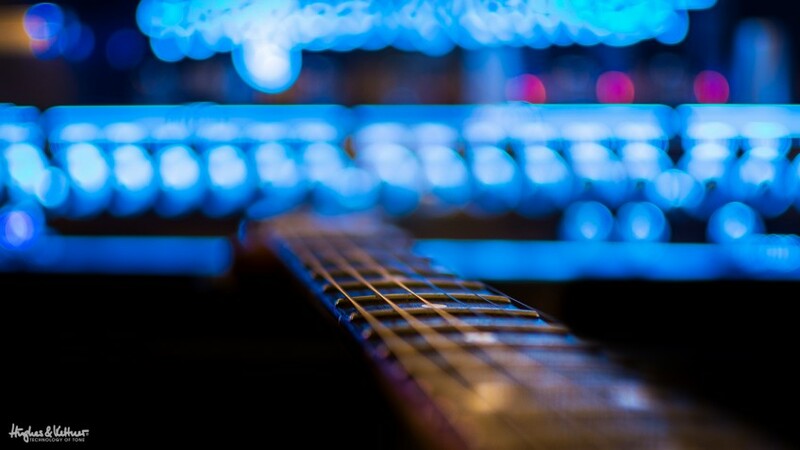 Many links in the signal chain – from the instrument itself to the speaker – shape the sound of an electric guitar. However, if we leave FX out of the sonic equation, none has a more formative influence than the amp. It lends the guitar its voice. This is why many guitarists invest as much time, energy and money into choosing their definitive amp as they do in buying a guitar. Even so, I dare say that an important feature of the amp, perhaps the most important, receives a lot less attention than it deserves. Oddly neglected by some guitarists and misused by others, I’m talking about… the voicing section. 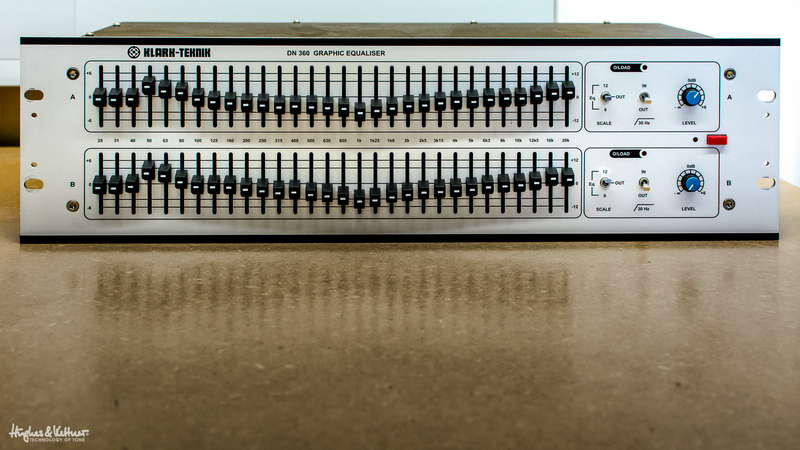 Now, back in the ‘80s, when sumo-sized high-gain sounds first gained purchase, many guitarists made the mistake of EQing their amps in isolation. Their delight later gave way to dismay when those lusciously rich, thick sounds failed to cut through the band’s mix. The blame for this has to be pinned squarely on the quirks of human hearing. Mother Nature tuned our ears to pick up midrange frequencies best, which is why we axe-slingers love to scoop all those mids out and ladle on the bass and treble frequencies. Although this is called a ‘smiley face curve’ on a parametric EQ, backing off the mids, dialing up the bass and treble knobs while diming the gain on a guitar amp rarely gives the gigging guitarist reason to smile. This can sound divine in the bedroom – as we all know – but dreadful on stage: when the crash of the cymbals and sizzle of the hi-hat obliterate the guitar’s high end and the elephantine thunk of the bass and drums flatten its low end, you’re left with nothing but fizzy, washed out mids. And even if the low end cuts through, that poorly defined mud-and-thud certainly won’t rock the house. I had a bit of epiphany in the ‘90s when I met a fairly well-known guitarist who let me in on some of his secrets. His best trick – what I originally thought was a preposterous EQ setting on his amp – left me altogether unimpressed until the benefits of its ingenious simplicity were revealed in the context of his band. I rarely felt compelled to fiddle with the Mid knobs on my amps at gigs, yet here was a bona fide rock star who took his cues from Nigel Tufnel (and if you don’t know who Nigel Tufnel is, find out right now!). He would have happily cranked his amp’s Mid knob to 11. And with that knob dimed, his tone was as in-your-face as it gets. Actually, taken on its own, the midrange bark braying from his speakers bordered on the painful. But when the band kicked in, his signal cut through like a machete slashing through sugar cane. The stalks fell to the side, putting the guitar right there where it belonged, in the middle of the band’s frequency spectrum. His tone was wonderfully crisp and assertive; the amp ridiculously responsive, with a swell of flutey feedback lurking under each sustained note. If successful EQing was easy, there wouldn’t be so many differing views on the topic. It’s a similar thing with mids: OK, most of us don’t like how they sound, but they’re there for a reason, so use them we must. After this revelatory experience, I spent the next few months exploring my amps’ voicing sections. First I followed in Joe Guitar Hero’s footsteps, nudging up the midrange. The EQ circuit on most tube amps is laid out so that voicing controls are interactive. Boosting the mids automatically cuts the bass frequencies, so my tone got leaner and a little meaner when I adjusted the Presence knob to tweak the high end. Just like that, my tone was tighter and more assertive, and the amp felt far more responsive, particularly when it came to conjuring and controlling feedback. That added punch and dynamic response allowed me back off the volume, and as I played quieter, so did the band around me. A few tweaks of the EQ knobs, and suddenly the whole band’s sound gelled into something far more cohesive. Perfect. I had found a secret weapon that many novice guitarists have yet to discover. Now I understood why the smiley face EQ curve made so many of my fellow six-string pickers sound so sad. The secret to attaining sonic happiness is counter-intuitive – a frowning face EQ curve. Back off the artificially bloated low end so guitar riffs will no longer wage war on the bass guitar and kick drum. Cut those treble frequencies that stab at you like an ice pick and step all over the high-hat and cymbals. Yep, we’ve wheeled this one out before, but it’s a great help when you’re trying to work out which frequencies are overlapping in your band’s sound. Now get it printed off and stuck up on your studio or practice room wall pronto! Okay, I’m exaggerating for effect here, but the point is this: the gigging guitarist’s recipe for assertive tone is to stay out of the way of the other instruments. Get your musical message across in the domain that is rightfully the guitar’s to dominate, the midrange. There’s a dance that guitarists need to be doing, and it’s called the EQ, Presence and Resonance knob twist. Try it the next time you plug in at rehearsals. Unfortunately, the Resonance knob, which in tube-driven power amp taps into a feedback circuit, is not a universal feature, but if your amp has one, be sure to use it to tweak your guitar’s deep mids response. On the other end of the spectrum, the Presence knob lets you fine-tune the overtones. Like the Resonance knob, it is part of the power amp voicing section and works a bit like a master tone control for all sounds. Careful, though, as presence can be too much of a good thing! Things can get harsh and cold if your guitar is equipped with single-coil pickups and you crank the Presence knob. 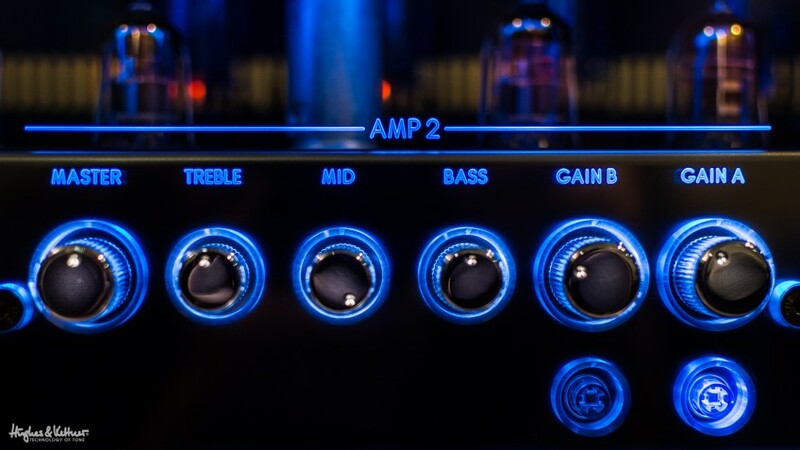 Careful and considered use of your amp’s EQ settings can make the difference between great, good, average and awful guitar tones, so spend as much time as you need to tailor your settings to the ultimate sound you want to achieve. The Bass and Treble knobs are certainly helpful EQing tools, but the Mid knob may well be the most powerful weapon in your sonic arsenal. All the other voicing controls spice up or tone down your sound, but none has such a major impact on if and how your guitar will stand out in the mix. The possibilities are many, so I encourage you to experiment. You’ll find that tweaking the midrange works for almost all types of tone, from clean to very dirty indeed. The more complex and denser the arrangement, the more you stand to gain by boosting the midrange. You can also underpin that midrange response by choosing the right cabinet and speaker combinations, which I’ll discuss in depth another time. For now, though, have fun experimenting, and be sure to share your stories with us. 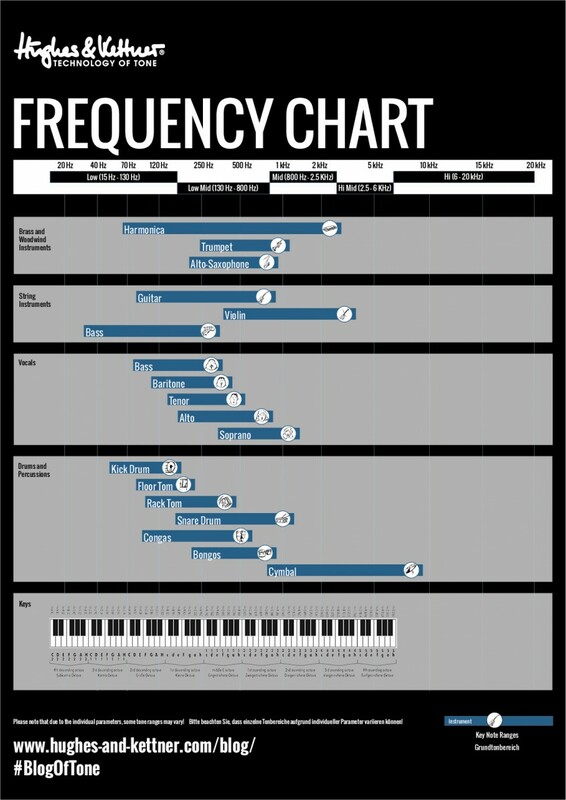 What EQ settings do you use? What works well, and what’s a total tonal no-go? How do you dial in the perfect amount of Presence and Resonance? First published: December 19 2014. Most recent update: September 21 2015. This article is 100% spot on. 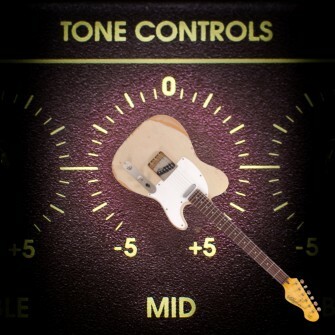 the mids should be cranked to 11. In my experience, with a 4×12 cab, it never really mattered to me what i sounded like. it was a Pantera esque mid-less scoop that still bashed the crowd with incredible volume. we had to give out ear plugs before each show! that was until i learned to boost my mids, (which allowed my guitar to cut through), turn down the volume(allows the band to be much more articulate), and angle my amp across the stage, up off the ground, facing the sides of out heads so we didn’t have such awful feedback problems from the monitor system. What you should take away from this, is crank those mids, turn down your amp, and point the damn cab at your band members. these create an amazing live show, that all can enjoy. Bottom line: guitarists, crank those mids! Excellent info!!!!!! using the volume and tone knobs on guitar also make a very significant inpact on sound. Thanks Jorge, glad you found the blog to be useful for you 🙂 Happy playing! I have a Tubemeister 36, and I wanted to ask which is the right way to find the right setting? Should one start with bass, middle and trebble at 12 o clock and then play until it sounds good or start at everything maxed out and then turn things down? I guess this is also a question about how the EQ on the Tubemeister works: Is everything maxed out the normal tone of the guitar and pulling things back reduces the chosen frequency range, or does the EQ actually add to the signal of the guitar when it is moved above 12 o clock? Hi Mark, they’re passive tone controls – which means they influence each other. (So, for example, if you crank the Mid knob, the Bass knob will be less sensitive than when you back the Mid knob down). And also, because they’re passive controls, this means they only cut frequencies. We actually tailor our amps so 12 o’ clock is a great place to start from, so thart’s what we’d recommend you do! I always start with my tone knobs at 1 o’clock (sacreligiously forming a 6, 6, and a 6) and tweaking from there. Using that as a base, I then tweak to find a proper attack and mix, my current amp is at 5 bass, 7 mids, 5.5 treble, with presence set to about 6. I then have a 10 band eq in front of the amp, pushing an unhappy curve (been preaching this for a while, nice to see it get some love here), with gain levels fairly low. I play an 8 string tuned to Eb (octave + half step below standard E), and it sound wonderful in the full band mix. Great way to do it Landon, and thanks for the kind words! Totally agree with the Mids and cranking them up. I have a Grandmeister36 and I only use one setting on it. The crunch channel with resonance and presence at 2-3 o’clock and mids somewhere between 3 & 4 o’clock, bass and treble both down about 11 o’clock. But the other thing to get the big rock sound is less gain. Too much gain turns tone into noise. Roll the gain back then hit the strings harder and you’ll get better articulation and note definition and more dynamics in your play. Gary Moore sounded like he used a lot of gain, he didn’t, it was lots of volume, and his tone is surely only of the most delicious out there….